Alice Topp first pulled on her dance shoes in the town of Bendigo at the age of 4. 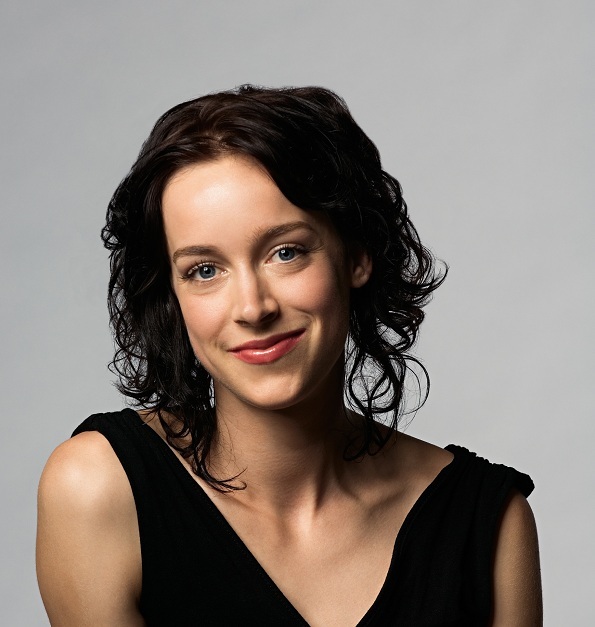 She relocated to Melbourne to study dance full time, first at the Victorian College of the Arts, then Leanne Rutherford’s Ballet Theatre of Victoria. Alice then made the leap over the Tasman to join the Royal New Zealand Ballet before settling in at her current home at The Australian Ballet where she is a corps de ballet member and emerging choreographer. For the past two years, Alice has been a prominent choreographer in The Australian Ballet’s Bodytorque seasons, with her first piece “Trace” being hailed by critics and dance lovers. The piece was so successful that it was performed again outside of the Bodytorque program. Alice took time out of her demanding schedule to chat to Dance Informa about life on the road and life as a dancer. Was Bodytorque your first foray into choreography? Yes, it was my first experiment with choreography. I’d never considered choreography previously until the 2010 Bodytorque season. How did you find being on the other side of the creative process? I loved it! There are so many different elements to consider and explore being on the other side. As a dancer, I’m used to taking directions and delivering the material but as a choreographer, you have control over your vision for the piece, the quality of movement, the choice of music, the lighting, set designs, video projections, props, costumes, dancers…. It can be rather overwhelming, but what I love about it is that there are limitless possibilities to explore your ideas. Collaboration is one of my favourite ways of creating and I love being surrounded by a team of talented artists each contributing their own unique flavour and shaping the work as we grow together on the journey of the piece. How much of the year do you spend on tour with The Australian Ballet? We spend roughly five to six months a year on tour. Four months are spent in Sydney with yearly trips to Adelaide and Brisbane. There’s often an overseas tour also. What is it like to tour with a professional Company? It’s both exhausting and exhilarating! Touring with a professional dance company means fulfilling a lifelong dream and having the opportunity to perform in some of the world’s most beautiful theatres. It means doing what I love on the national and world stage, working with the industry’s most amazing artists, choreographers, orchestras, production teams, technical staff and designers. At The Australian Ballet we’re incredibly well looked after. Our medical team comes with us on tour and we have access to all dance maintenance equipment and facilities. We also have an amazing group of company managers sorting out our flights, accommodation and ticketing and a fantastic team of people organising our media commitments, sponsor related functions and anything in between! As touring means performing and rehearsing six days a week, we often spend our Sunday sleeping and in recovery. As tiring as it is though, performing to a wide range of appreciative audiences means that it’s usually an incredibly rewarding experience. Do you have any rituals or items you can’t travel without? No rituals, but my tour mascot is usually my cat! Most tours he travels with me, otherwise he visits his ‘country retreat’ in Bendigo where my parents look after him. What is the best part of touring? I would say the change of scenery and the challenge. As we spend so much time interstate, Sydney has become rather a second home, so the familiarity, weather change and the shift into the Opera House is always welcomed. The best part of all touring though would have to be the international tours which are always a highlight for the sights, culture, history, hype and overall sensory experience. What is the worst part of touring? Packing and missing your own bed. What advice would you give to fellow touring performers? For long tours – be mentally flexible. Don’t pack too much because you always come home with more and no-one likes airport excess luggage taxes. Try to limit everyday takeout, as convenient as it is when you’re exhausted, because good nutrition aids your recovery process and prevents you getting run-down and sick. Invest in a multivitamin. Never underestimate the value of a good night’s sleep. Try to maintain a balance. It’s important to maintain other interests to help keep perspective, keep yourself grounded and not let work become all-consuming. This will also mean that you have more creative energy to put back into your dancing. Pack a good book. Always have your iPod handy. For overseas tours, make the most of every moment both inside and outside the theatre, because you never know when you’ll return and you don’t want to just see the inside of the auditorium. What has been your favourite experience on tour (on stage or off)? The most outstanding moment thus far would be the standing ovation we received in Paris at The Chatelet Theatre in 2008 in a joint tour with Bangarra Dance Theatre. The buzz was incredible! Palais Garnier, the Paris Opera. Wayne McGregor’s Dyad 1929 and Stanton Welch’s Divergence. Role you would most like to perform? Christopher Wheeldon’s After the Rain pas de deux. What are you looking forward to in The Australian Ballet’s 50th Anniversary year? The Infinity program, which is a triple bill of works by Graeme Murphy, Stephen Page and Gideon Obarzanek.